This page is available on each subject, and contains every document shared on the subject, whether it was added on a task, comment or conversation. 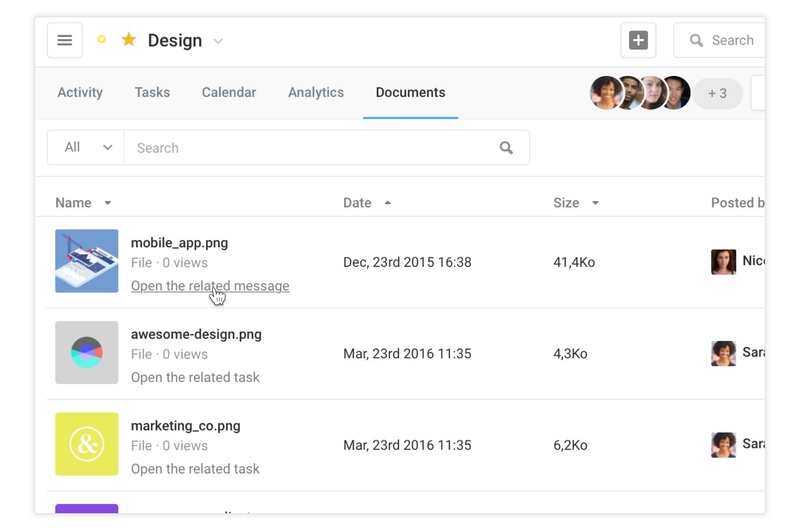 Finding the document you are looking for is easier than ever. 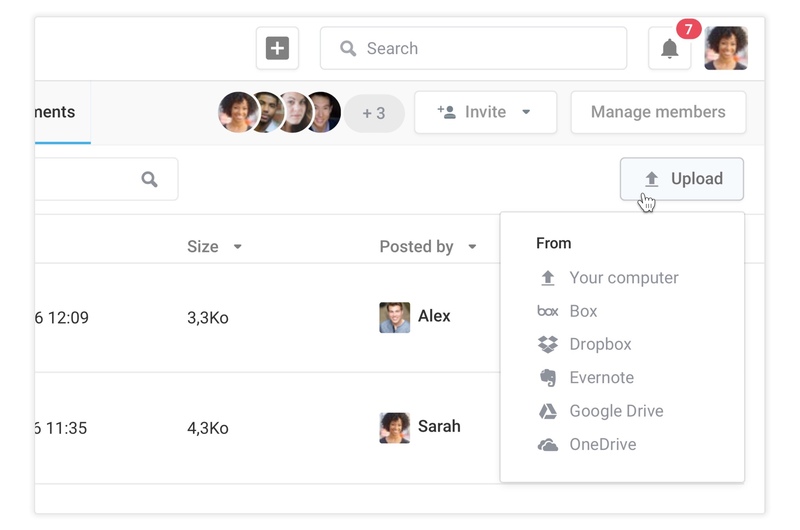 You can use the search bar to look for specific keywords and filter by the origin of the file. 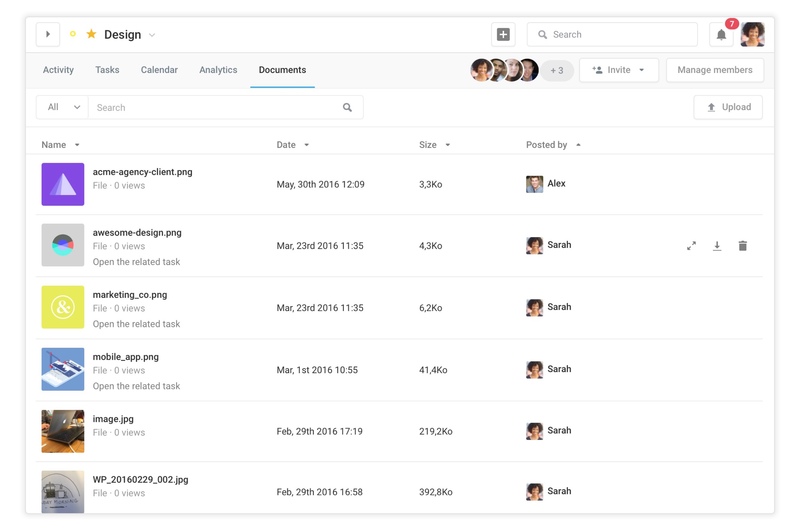 You can also sort the documents by date, name, member and file size. Once you have found the document you were looking for, you can open the associated conversation or task to have a better grasp of the context it was shared on. When your mouse cursor is above a file in the documents page, three icons appear on the right side which allow you to open, download and delete the file. 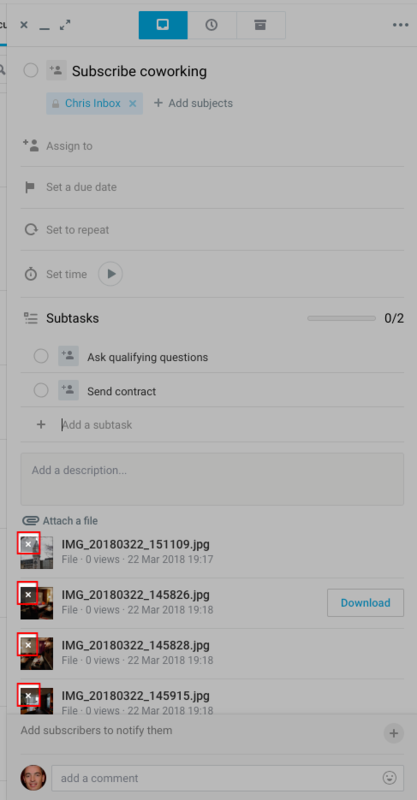 You can also upload documents directly from the documents page, which will create a conversation to notify your team members of the newly available files. If you are looking for a particular file type, such as an image of photoshop file, you can use the search bar as a filter. 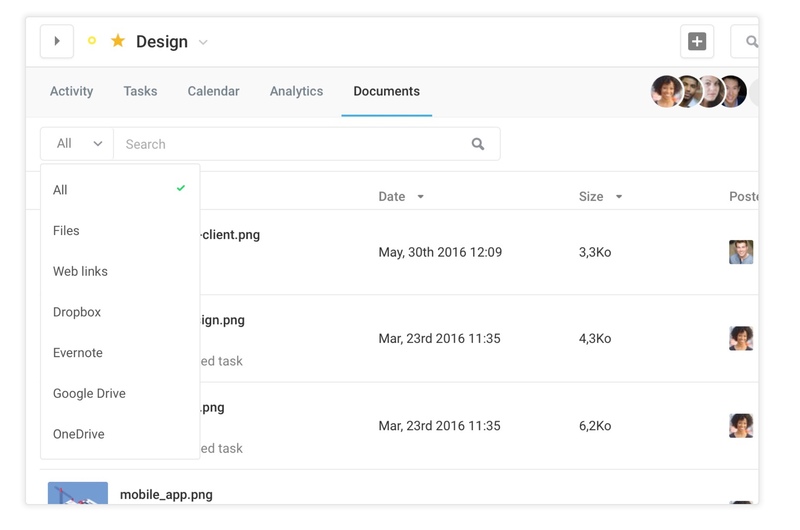 To do so, type the file extension in the search bar, all the files displayed will correspond to the file extensions you are looking for. 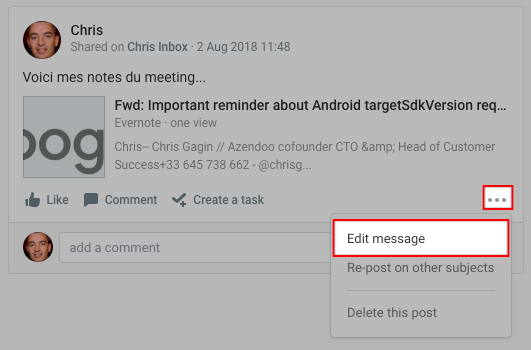 You can only remove documents from the related conversations and tasks.